Matragyna Speciosa, also known as Kratom, is a tree native to Southeast Asia. When consumed at a low dose, it has an energizing effect. At higher doses, its sedating and it relieves pain. While it has just recently caught on in Western culture, it has been used in Asian medicine for centuries. While Kratom is legal in most countries, it became illegal in 1943 in its native Thailand. During the 1940s, the Thai government taxed opium shops. Due to economic need, these taxes increased, and so did the price of opium. Opium users then started to turn to Kratom as a less expensive alternative. This would cause a decline in opium sold and tax revenue the government would receive from opium shops. Because Kratom was growing wild, the government found it almost impossible to regulate and tax it. For economic, and not health reasons, the Kratom Act 2483 went into effect on August 9th, 1943. This would categorize Kratom as a narcotic. Kratom trees were destroyed and Kratom users simply went back to using opium. Sales at opium shops increased and tax revenues were restored. Over 70 percent of Americans take a prescription drug, and nearly half of the population take two or more prescribed drugs daily. Let’s face it, we’ve become a nation of pill poppers. Its commonly believed that almost any health condition should be treated with a pharmaceutical drug. Often times drugs are prescribed to treat a particular medical condition, and then other problems appear due to the drug itself. Generally, another drug may be prescribed to treat the first drug’s side effects, and this process dominos. Practicing medicine is not intended to make everyone well. While I wouldn’t actually say that its intended to keep people sick, I will say that its intentions are to keep a sickness manageable to where a patient can tolerate and live with a condition or disease. If everyone could be cured of whatever it is they take prescription drugs for, there wouldn’t be much need for doctors or pharmaceutical drugs. A $2 trillion a year industry in the United States would become extinct. Of the Americans that take prescription medications, almost a quarter take opiate painkillers. Many live with chronic pain due to a particular disease or injury. This usually requires prescribed opiates just to function normally. When doctors prescribe opiates for chronic pain, they know that taking this type of medication will be lifelong for the patient. Early on, lower doses of hydrocodone are prescribed, a tolerance will be built up over time, and then the dose is increased. This drug may be effective for many years for some, but sometimes it has no effect after just a few years. Once the drug is no longer effective, a stronger drug such as OxyContin is prescribed. While opiate drugs may give relief to the patient, years of use takes a toll on the user’s liver and other internal organs. While the quality of the patient’s life may be increased by reducing pain from opiates, their lifespan is often shortened. Almost half of all drug overdoses in the US are from opiates, and this rate continues to increase. There are more overdoses from opiates every year than cocaine and heroin combined. Some are alarmed by this, but nothing has been done to try to find a safe alternative for pain. Methadone and Suboxone are two drugs that are used as an alternative to opiates. These too are pharmaceutical drugs that have the potential of overdose and organ damage. They are used primarily to treat opiate and heroin addicts, not as an alternative for someone who is taking opiates to relieve pain. Athletes of all kinds, from many levels sustain injuries. Many feel the need to take opiate painkillers to be able to train or play through pain. A bodybuilder can’t take weeks off from the gym due to a minor injury if they are getting ready for a competition, and an NFL athlete will not take off on a Sunday due to pain, especially if the playoffs or a big contract is on the line. Clay Matthews, Green Bay Packers linebacker, was recently named in a documentary for taking opiate painkillers. While I don’t know if the allegations against Matthews are true, I do know that the use of painkillers is common to treat pain in the NFL and other professional sports. 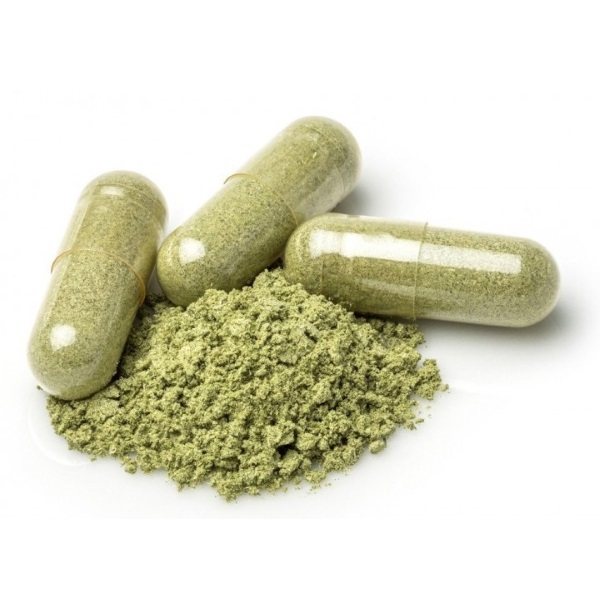 The main active ingredients in Kratom are mitragynine and 7-hydroxymitragynine. Both of these chemicals activate opiate receptors just like synthetic opiates. Kratom initially has a stimulating effect, which is followed by a sedating and relaxing feeling. Almost 30K people died in the US last year due to opiate related overdoses. There have been a few Kratom-linked deaths, but all involved multiple drugs, and no solid evidence links any deaths with the use of Kratom alone. With the apparent dangers of opiates, a natural alternative such as Kratom should be met with open arms and an open mind. While more research is needed, Kratom appears to be a viable candidate as a natural alternative to prescription opiates. It is shown to be much safer, and it has less potential for addiction and abuse. This can’t be said for the millions of prescription pain meds that are dispensed yearly. While many swear by Kratom’s ability to safely relieve pain, there are closed-minded politicians that are attempting to close the door on Kratom. It appears no different than what has happened with marijuana. Marijuana has been proven to relieve pain and has other medicinal purposes. It is illegal in all but just a few states, while alcohol is legal to purchase, consume, and possess in every state in the United States. Alcohol has not been shown to have any legitimate medicinal purpose, and it is linked to more deaths than any of other mind altering drug. Marijuana has been shown to be much safer than alcohol, but the difference is, alcohol is regulated and a large amount of revenue is generated by taxing alcohol. Big pharma generates an enormous revenue. There is no way that politicians would allow any natural substance replace a drug that is produced by drug companies. Kratom has been banned in four states. It is still unknown whether other states will eventually follow suite. The more it is used by the public, the more attention it will receive, and this will lead to more scrutiny by the federal government. Its funny how politicians feel they are experts in every field imaginable. Regardless of what they do or don’t know, they are the ones that will ultimately decide whether Kratom, which has never been linked to a single death when taken alone, can be taken instead of a class of drugs that kill 30K people a year. When looking at the numbers, big pharm companies are the real drug dealers, and the war on drugs has forgotten the biggest player of all. American citizens should have the right to take a natural substance to treat a condition instead of taking a drug that could potentially be fatal. Many have already made this choice with Kratom. If a ban does take place one day on Kratom, one can expect the number of prescription painkiller deaths to continue to rise. You’re Fat. Asians Aren’t. Here’s Why.